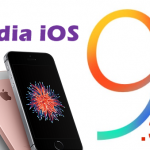 How to jailbreak & install Cydia iOS 9.3.5 with Phoenix on iPhone, iPad ? 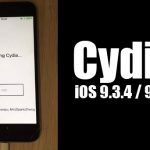 Home › iOS 9.3.5 jailbreak › How to Jailbreak & Install Cydia for iOS 9.3.5 with Phoenix Jailbreak ? Finally, iOS 9.3.5 jailbreak for iPhone, iPad & iPod has been released! 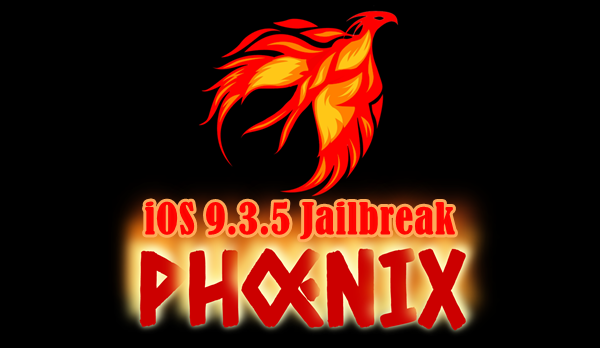 Now you can download Cydia iOS 9.3.5 with Phoenix jailbreak on all 32-bit devices. 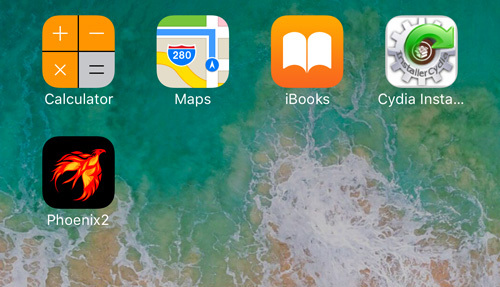 Here’s how you can jailbreak iOS 9.3.5 with Phoenix & install Cydia on iPhone, iPad or iPod. What is Phoenix jailbreak? It is semi-untethered jailbreak tool compatible with only iOS 9.3.5. It can jailbreak & Cydia download on all 32-bit Apple devices running iOS 9.3.5 version. This is the only tool that available to jailbreak & install Cydia for iOS 9.3.5 devices. The Phoenix jailbreak exploit for iOS 9.3.5 has been developed by the tihmstar & Siguza, two well-known iOS hackers. 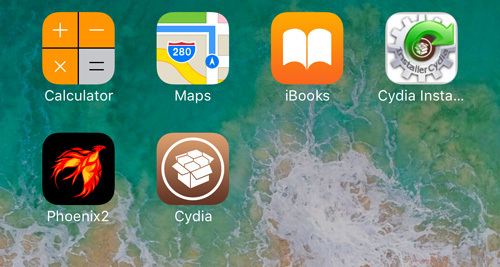 They Special thanks to mbazaliy and qwertyoruiop with extensive contributions by jk9357 (@REALKJCMEMBER) who made Home Depot jailbreak for iOS 9.1 – 9.3.4. The jailbreak app also looks quite similar to the Home Depot tool. The jailbreak is semi-untethered type means you need to re-jailbreak after each reboot your device. Phoneinx jailbreak is only compatible with 32-bit devices. It works on iOS 9.3.5 firmware only. It installs Cydia after jailbreak your device. Adds the option to force a complete reinstall by holding down on “Kickstart Jailbreak”. …there is an SSL error. …a status code of 200 is returned, but the response body is empty. Removes problematic binaries that resulted in multiple scripts breaking. Thanks to angelXwind for pointing this out. Fixes a problem with LaunchDaemons not starting after re-jailbreaking. Fixes a problem in Mixtape Player where seeking would result in graphical glitches. “Better Not Lack” (track 12) now appears correctly in Mixtape Player. Temporarily disable Dark Mode in Mixtape Player by firmly pressing the app icon and choosing “Mixtape Player”. 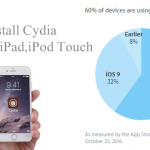 How to jailbreak & install Cydia on iOS 9.3.5 iPhone, iPad or iPod with Phoenix ? Step 2: Connect your iPhone / iPad / iPod to computer using a USB cable. Step 4: Enter a valid Apple ID and password, when Cydia Impactor ask. Step 5: Wait for the IPA file to be installed on your iOS device. Once it complete the installation process, Phoenix jailbreak app will be seen on your Home screen. Step 7: Run the Phoenix app on your Home screen and tap on “Prepare For Jailbreak“. Step 8: It will prompt you to download the free Mixtape Player. If you want to download it, tap on “Download Free Mixtape Now” otherwise tap on “Proceed with Jailbreak” button to continue. Step 9: Then, it will check the compatibility again. If your device is supported, you will get another screen then tap on “Use Provided Offsets”. Step 10: Your device will respring & Cydia will be seen on your Home screen. That’s it, open the Cydia & start installing your favorites Cydia apps for your device. Update : How to jailbreak iOS 9.3.5 with Phoenix without a computer? If you fail to install Cydia & reboot your device, open the Phoenix jailbreak app again on your Home screen and tap on “Kickstart Jailbreak” option. Exploit might fail a few times, if it does just try again. For me I didn’t get the cydia. Also, i didn’t see the option “Kickstart Jailbreak” in the phoenix app. Should I go with computer instead? What is your device and iOS version ? Cydia is downloaded to my windows 10 computer, but when installing it it says it cant find two files – a impactor.dll (i can see it in the downloaded folder)and AdbWinApi.dll. It then recommends me to “reinstall” it to fix the problem but I havent installed it at all so I have no idea what I should do. Hi Annie, the main reason why Cydia Impactor throws the error is you are not Trusted your computer. When you connect your iOS device to your computer, you must “trust” it. Also recommend to open iTunes on your computer, go to the “Account” menu >> “Authorization” >> “Authorize This Computer” option and Sign In with your Apple ID and password. Hi Nin, just follow these steps to fix your Cydia..
4. Select “Use provided Offsets” option. that’s it, now you can open Cydia & install your favorites tweaks.. It went well after authorizing the PC from Itunes. However, I still receive an error message after dropping the IPA file into cydia, entering apple ID and the generated password. The ‘Network Extensions’ featire is only available to users enrolled in Apple Developers Programme. Please Visit http://developer.apple.com/programs/ to enroll. Is that something everyone is required to do? – more importantly, that link takes me to a certified apple website. So, my question is, is it safe to submit to the legal terms there and carry on with the suggested method? I have no idea how to do that on the appleid site and there are no instructions there pertaining to an app-specific id. Step 1: Go to this page & sign in to your Apple ID account. Step 2: Scroll down to the Security section & click on the “Edit” button. Step 3: Find the “APP-SPECIFIC PASSWORDS” part & click on “Generate Password”. Step 4: Enter a name for the password, which could be anything you like & click on the “Create” button. Step 5: Copy the password that is generated. Step 6: Now, use this password instead of your normal Apple ID password in Cydia Impactor. The ‘Network Extensions’ feature is only available to users enrolled in Apple Developer Program. Please visit https://developer.apple.com/programs/ to enroll. 2) I was following Step 3 when it went wrong, i.e. I was not given an opportunity to drop the IPA file onto the Impactor, and therefore was entering my AppleID before having done this. I am using an old phone newly setup with a new AppleID created specifically for this experiment. I revoked the certificates as suggested but get exactly the same error. Please ignore last comment. The problem I had is that I had accidentally created a shortcut to the IPA file on my Desktop and dragging this onto Impactor was not valid. I tried again with the IPA file itself and all worked perfectly. You already have a current IOS Development certificate or a pending certificate request.